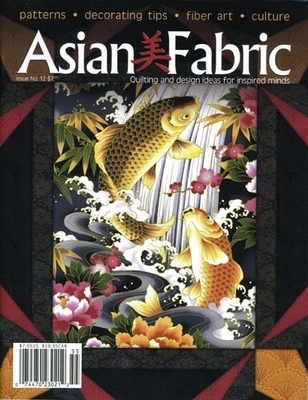 This is the Twelfth issue of Kona Bay Fabrics devoted entirely to Asian-themed fabric projects. In this issue: Crane's Journey - Crane Journey Quilt, Pillow, Wall Quilt. 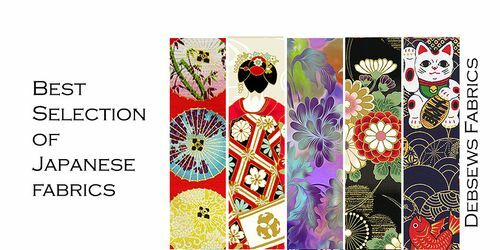 Nobu's Visit - Nobu Fujiyama Mosaic Quilt, Geisha Mat, Noren Panels. Kikue Story - Kikue Lap Quilt, Butterflies & Florals Quilt. Asian Elements - Asian Element Quilt, Seasons Lap Quilt, Sadako's Prayer. And much, much more!! 63 Pages. Absolutely fabulous! !